Product prices and availability are accurate as of 2019-04-20 23:33:11 UTC and are subject to change. Any price and availability information displayed on http://www.amazon.com/ at the time of purchase will apply to the purchase of this product. 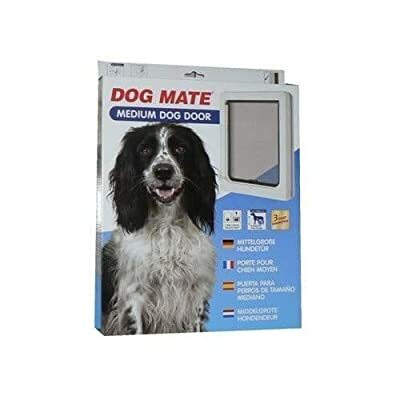 Dog door with robust construction and 2 way security locking panel. Lightweight, with trimmable liner. Perfect for giving your dog outdoor access.